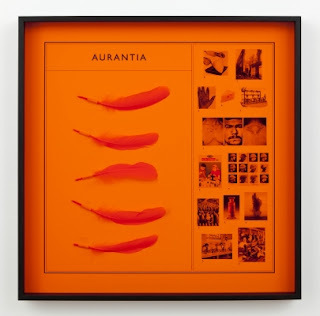 Ana Torfs' work often exploits the gap between knowledge and perception. Working through systems of classification and the creation of taxonomies her work attempts to revisit the past and explore the multitude of ways in which it can be interpreted. 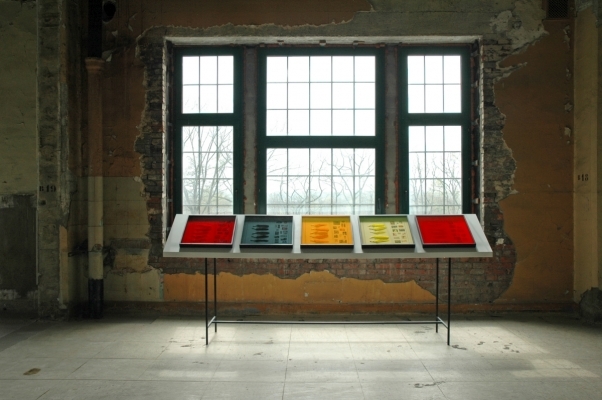 Commissioned for Manifesta 9 (2012, Genk) the installation [...] STAIN [...] by Torfs consists of 20 framed inkjet prints with feathers and coloured acrylic glass, 4 display tables, and two loudspeakers. 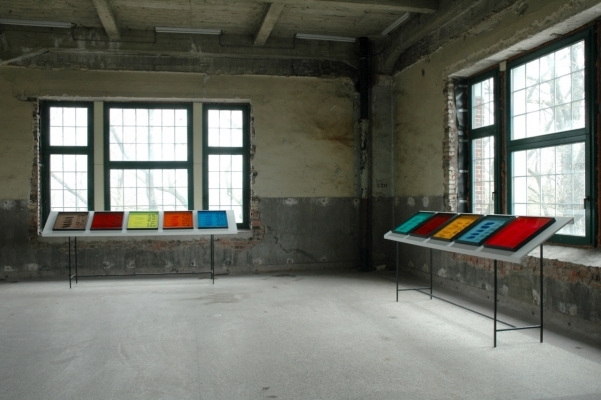 The 20 vitrines display synthetic colours derivative from coal tar, the colours represent a vast industry built up from the manufacturing of synthetic dyes, which was only made possible through the commercial use of the waste products of coke manufacturing. In 1856 the 18-year-old English chemistry student William Henry Perkin patented a purple dye, mauve, which he distilled from coal tar. Perkin discovered the dye by coincidence, when he was looking for a synthetic variant of quinine, in the fight against malaria. Mauve was the first mass-produced synthetic dye. The creation of mauve resulted in the emergence of big chemical companies. Bayer, BASF, as well as AGFA, all set out as dye manufacturers, during the second half of the 19th century. The research on synthetic dyes from coal tar induced many other discoveries and was crucial for the development of explosives, medicines and pesticides." Displayed in a pseudo-museological way, we are persuaded to consider each of the coloured panels from a historical context. 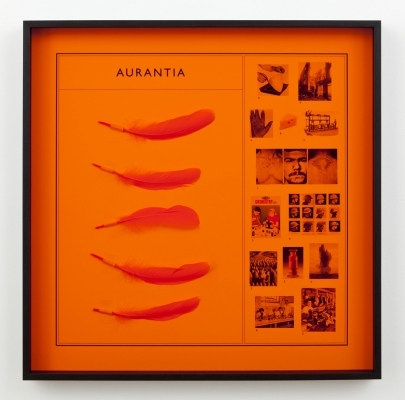 The 20 selected dyes are titled with names such as 'Congo Red', 'Bismarck Brown', and 'Paris Violet'; and are presented alongside connected images and a sample of feathers. 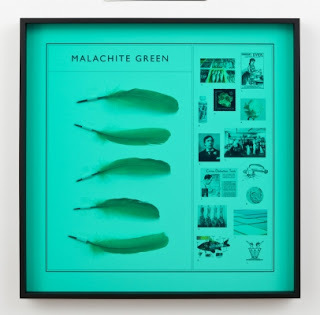 Although creating specific connections between past histories and her work Torfs leaves many of the taxonomies empty leaving a scattering of clues which are impossible to describe the whole story, asking the viewer to compose their own subjective interpretation of the evidence.